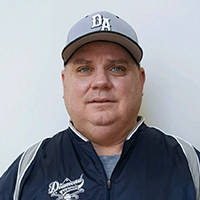 Steve has over 21 years of experience as a player, coach and manager for baseball. 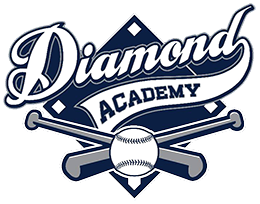 He has coached HS Baseball, 18U Showcase baseball and various other travel baseball teams. Steve is extremely passionate about the game of baseball and specializes in working with players on the fundamentals of the game. 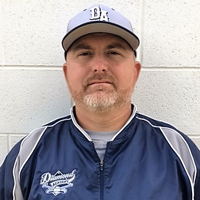 Rob brings over 13 years of coaching wisdom to boys and girls, coaching a variety of teams including Rec, Travel, Tournament and High School baseball. Rob is a member of the MD State Coaches Association (MSCA). Additionally, Rob’s baseball background includes over 14 years of playing experience, culminating at playing at the collegiate level. Rob feels the most important life skill he can teach his young ball players is the love of the game. He wants players to enjoy the sport with the belief that many life lessons will be taught by playing baseball. 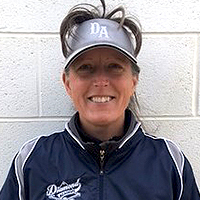 Focusing on Hitting & Fielding fundamentals, as well as the mental aspect of the game, Rob instructs with extreme enthusiasm for playing the game “the right way”. 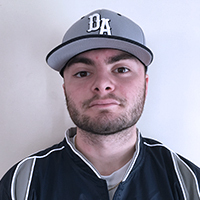 Anthony has played baseball for the past 14 years and continues to play the game at the collegiate level. He currently plays for Stevenson University. Anthony was a first team all conference and first team all area player while playing at MVHS. He was a CrabFest All- American and a Mid-Atlantic Baseball Classic All Star. Mitch is a 2016 graduate of Manchester Valley High School. 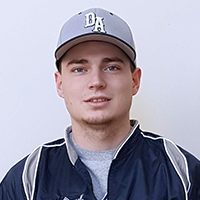 During his HS baseball career, Mitch was a 3 year Varsity letter winner as a Catcher, earned All-Conference and All-Area accolades both his junior and senior season, as well as being named to the Mid Atlantic All Star Team his senior season. Mitch’s passion both in the classroom and on the baseball field earned him being named the Male Scholar Athlete of the Year his senior year. Mitch is currently continuing his baseball career at Lebanon Valley College.